I have been interested for years in the period of time known as the Convivencia in medieval Iberia (today’s Spain and Portugal). During centuries of Muslim rule and the early period of what is often called the Christian Reconquest, or Reconquista, Muslims, Christians and Jews achieved a difficult, uneasy, but generally successful co-existence. With notable exceptions, usually targeting Jews, tolerance of religious differences was perceived as beneficial. Arts, science, and world exploration flowered when the gifts of all were appreciated. During the waning decades of the Convivencia, Christian religious fervor undid many of these gains, culminating with the establishment of the Spanish Inquisition and the expulsion of all Jews and Muslims from the Iberian Peninsula. 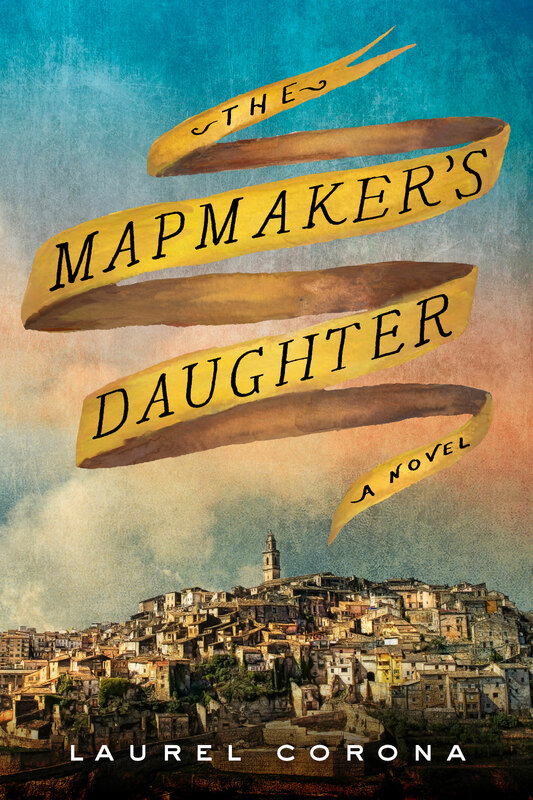 THE MAPMAKER’S DAUGHTER tells the story of these last decades, from the point of view of a woman raised as a secret, or crypto-Jew, who makes the decision to live openly in the faith and experiences both the brutalities and joys of Jewish life over the course of her long life. From her childhood as an interpreter for her deaf father, a mapmaker in the court of Henry the Navigator in Portugal; through a disastrous marriage to a Christian sea captain; her awakening as a Jew in the warm embrace of the renowned Abravanel family; a tumultuous affair with a Muslim poet; an appointment as the tutor to the young Isabella; fulfillment as the matriarch of a growing Jewish family; and witness to the horrors of the Inquisition, the fall of Muslim Granada, and the Jewish expulsion from Spain, she brings the reader with her into one of the most colorful eras of history. Valencia, 1492. In a room empty of furnishings except for the one chair in which she sits, Amalia, age sixty-seven, brushes her fingers over the images in a hand-painted atlas. Any minute her grandson will arrive to take her from her room, from her house, from her country, forever. She can take only what she can carry in her arms, and the atlas will have to be left behind. 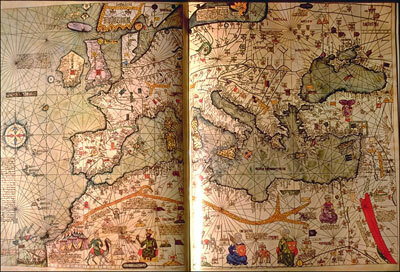 Amalia is the great granddaughter of Abraham Cresques, one of a small community of Jewish mapmakers and astronomers whose services were so valuable in medieval Iberia that their “odious religion” had been tolerated by Muslim and Christian rulers alike. But times have changed. In January 1492, King Ferdinand and Queen Isabella conquered Granada, the last holdout of Muslim rule in Spain. Flushed with a victory they felt was ordained by God, they issued an order expelling from Spain all Jews who refused to convert to Christianity. There is only one day left to comply. As she waits, listening for the sound of her grandson’s footsteps on the stairs, Amalia slips into reverie, reliving the story of her life. Ghosts from her past slip into the room to remember with her, as Amalia relives her girlhood in Seville as part of a family of conversos, Jews who accept baptism and live as Christians. Her mother still secretly still carries on Jewish traditions and beliefs, which is a source of strain in the family but forges a lifelong identity for Amalia. We see Amalia as a girl translating for her deaf father in the court of Henry the Navigator in Portugal; as a married woman, living a false life as a converted Christian with an unscrupulous husband who commands voyages of discovery for the crown; as a young widow discovering a gift for poetry through the love of a Muslim man; as tutor to the grandchildren of the Caliph of Granada, and then to a young Princess Isabella, sequestered with her supposedly mad mother in rural Spain. Throughout, Amalia has the protection and support of the Abravanel family, the most powerful Jews in Portugal and Spain, and when her daughter marries its brightest star, Isaac, Amalia lives the rest of her life as part of his entourage in the court of Ferdinand and Isabella.